Cyber-D's SWF2JPG makes it easy to quickly create a series of 'backup images' or 'preview images' of flash banners (swf files). Simply select the folder that contains all swf files and click on "Snap" to create an image of the flash frame and click on "Next" to proceed to the next banner. The progress bar show how far you are from completing all banners. When you are done you will have 'backup images' or 'preview images' of all your swf files. 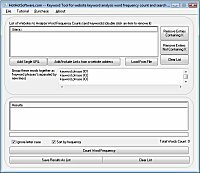 This site does not contain serial number, crack, keygen Cyber-D's SWF2JPG serial number : serial number is the simplest type of crack. A serial number(cdkey,product key,etc) is register the program as you may already know. a crack or keygen may contain harmful software. If you cannot find the exact version you want, just give it a try. for more information read .nfo/.txt/.diz file include in zipped file.